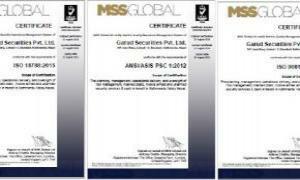 Founded on the principles of professionalism, dedication, and commitment, we at Garud securities work hard to ensure that our practices at all times are guided by these very principles, and that our work is always reflective of the standards that we have set not only for ourselves but for the security industry at large. With over a decade of experience with people and technology, we personify excellence with ease. 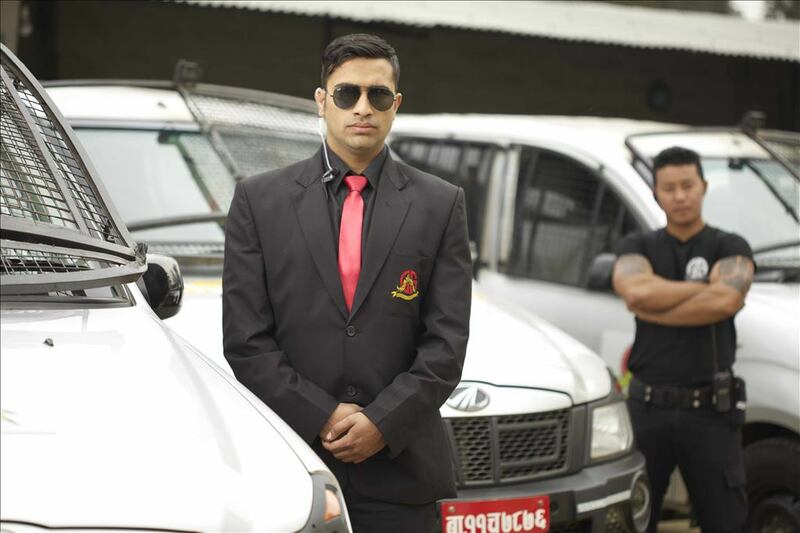 In a world of look-alike security companies, Garud Securities stands apart. Our years of experience helps us to provide clients with complete security solutions designed to respond to real threats and meet customer’s requirements. 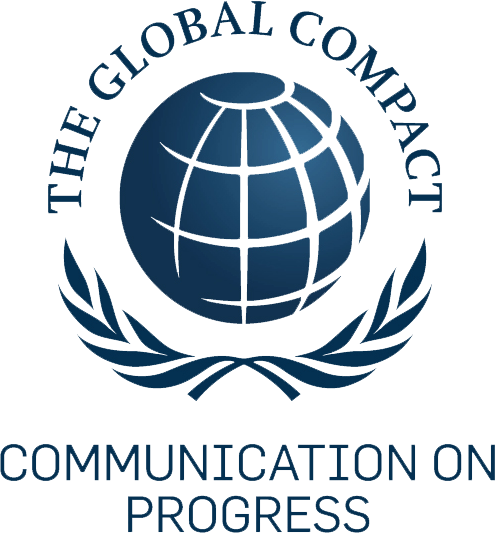 As we continue to pursue our corporate vision through dedicated procedures, new standards for excellence have been developed. We understand that security is no longer a mundane function, as now the threats are sophisticated and stakes are high. Garud Securities has elevated the standards required to negate the tide of crime and in keeping with the ever-changing threat. Garud Securities prides itself on having solid infrastructure, sound procedures and skilled people all combining to enforce a high level of integrity, professionalism and quality of service that sets the foundation for our high standard of excellence. 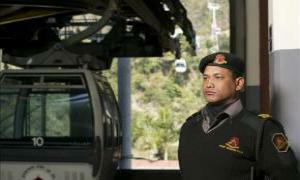 To become the security service provider of choice, known for its reliability, trust and ability to provide peace of mind. 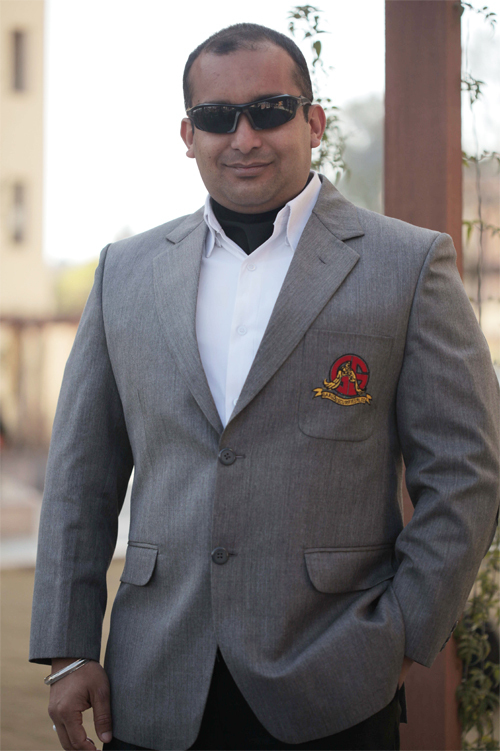 Our mission is to provide our clients with the finest security services available in the industry. Our value-for-money services will complement our clients to run their operations with minimal concerns for their security. We will provide the most responsive customer service programs in the industry by creating multiple lines of communication and investing in assets and emerging technology that adds value for our customers. At Garud we are constantly evolving and adapting in accordance with the ever changing demands of the industry, thereby meeting client requirements and assuring their safety. Thus offering our clients a complete “Peace of mind”. Motivation is an integral part of employee development and it also helps them excel. Bearing that in mind apply basic family principles to our staff and create a conducive working environment for them. We genuinely care for the well-being of our employees hence every staff member is looked after and treated with respect. 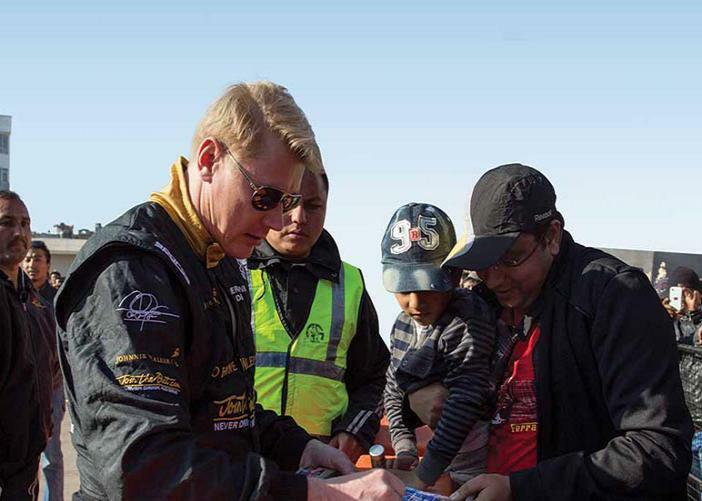 And we credit our achievements and success to our dedicated employees as it would not be possible to reach the level we’ve attained, without them. Every individual at Garud is committed to offer their 100% in order to exceed client’s expectation. 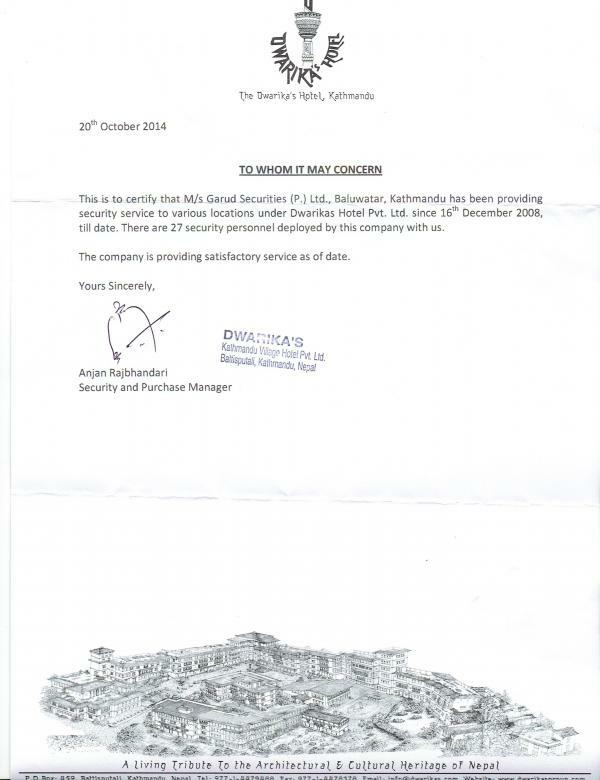 And we’ve been delivering premium quality service for many years to numerous establishments all across Nepal. Hence we can confidently say that “Your security is in safe hands”. Garud securities takes great pride in its history of 10 illustrious years in the security industry. And it’s our constant endeavor to offer top class service to our clients in the future and consistently improve as a security service provider. Our prime area of focus is to maintain high standards of service, innovative solutions and flexibility, to cope up with the changing demands of our clients. Constant innovation, effective execution and proximity to our clients, is what distinguishes us from our competitors. 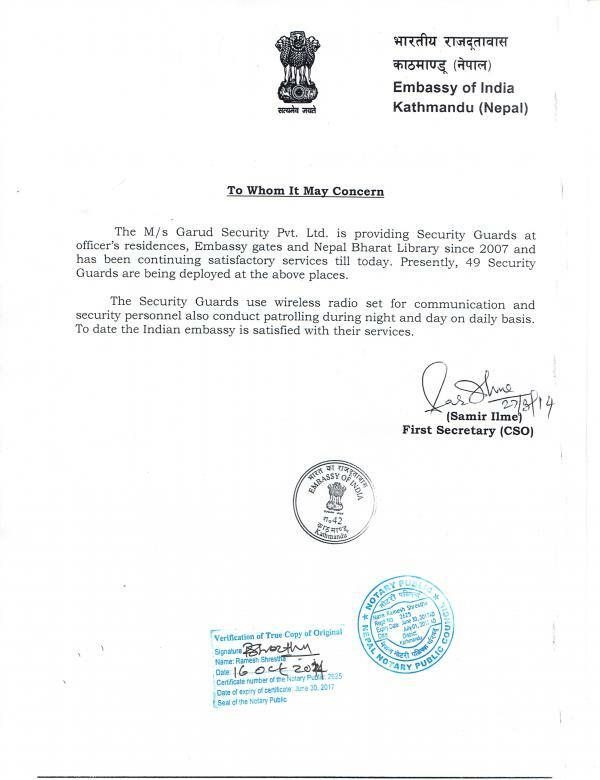 Therefore, we confidently claim to be the epitome of high quality service providers in the security industry. We as an organization staunchly maintain work place gender equality. Our management vigorously encourages the recruitment of female employees and offers them the required training that helps develop their overall personalities. 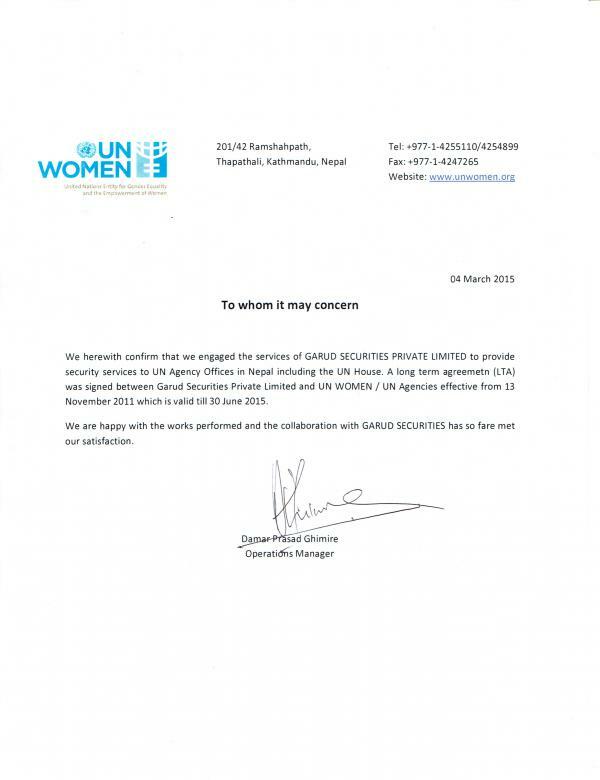 Garud security aspires to maximise the women employee population in the near future. This initiative will make the women populace, in our society, independent and will add towards their welfare. With the first patrolling vehicle acquired in 2006, we now boast a fleet of over 43 two and four wheeled vehicles all over the country. 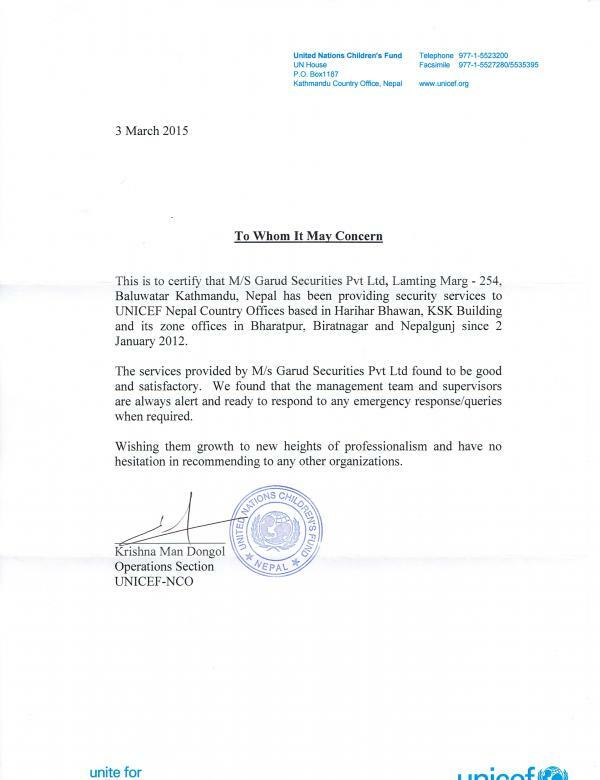 Entered event security management in 2006, and we are now the leading event security company in Nepal. 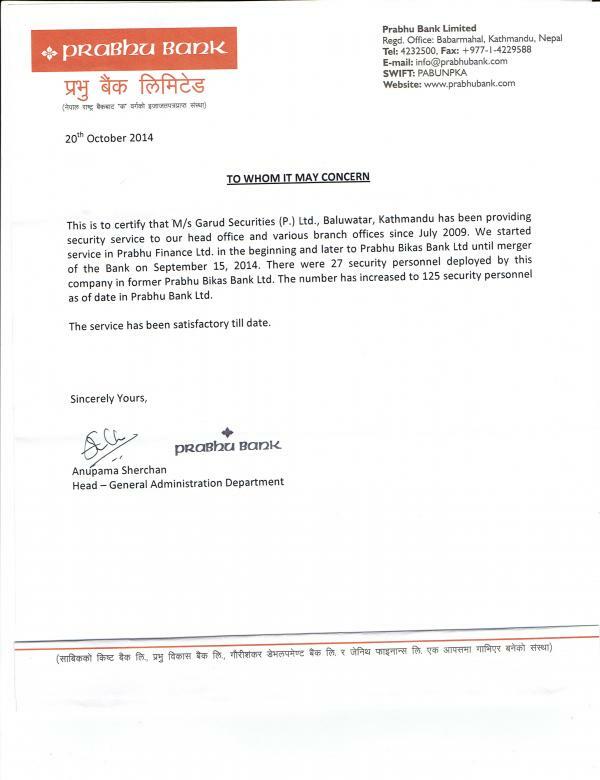 We set foot in security services for financial sector in 2007 with (Janakpur BoK), and now we have over 20 financial institutions relying on our services. 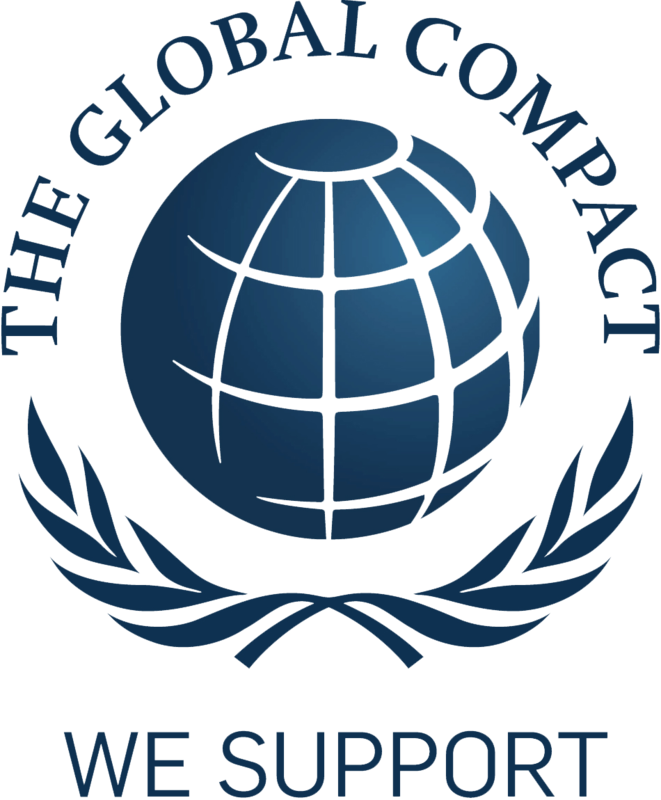 We embarked on our journey with the first diplomatic mission client in 2007. And today we serve over 18 diplomatic missions. Introduced in 2007, we are the pioneers of CVIT services in Nepal. We now have a fleet of 8 purpose built CVIT vehicles to cater to the market. A full-fledged security training centre was started in 2009 for our in-house guards and it now provides training for people going abroad as well. We started our electronic security division in 2010, thereby diversifying our products in the security market. Our ISO 9001-2008 certification in 2013 is a testament to our passion for quality. We are constantly evolving and adapting. We thrive on our long standing association with diverse clientele and their satisfaction. 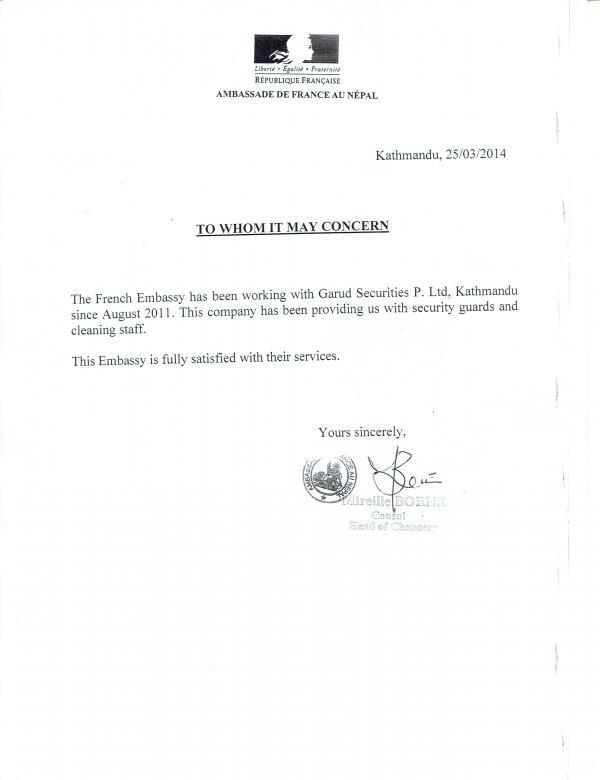 The French Embassy has been working with GARUD SECURITIES Pvt Ltd Kathmandu since August 2011. 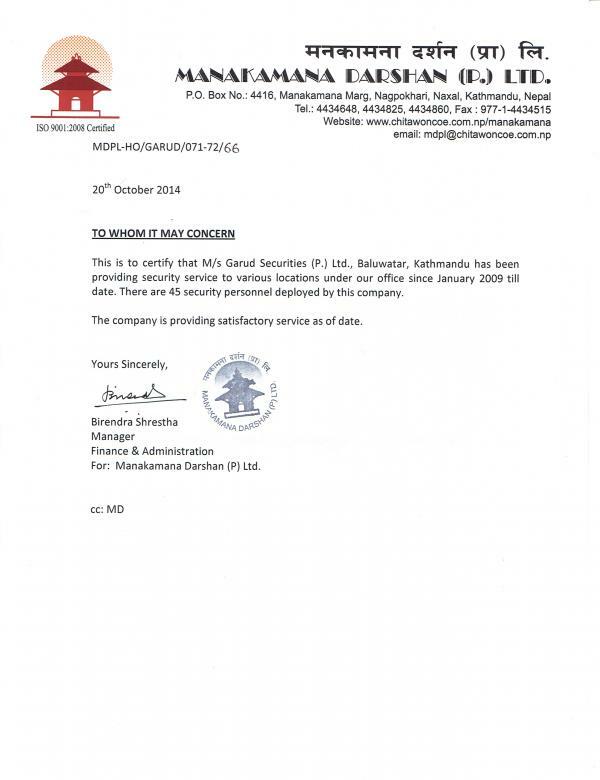 This company has been roviding us with security guards and cleaning staffs. 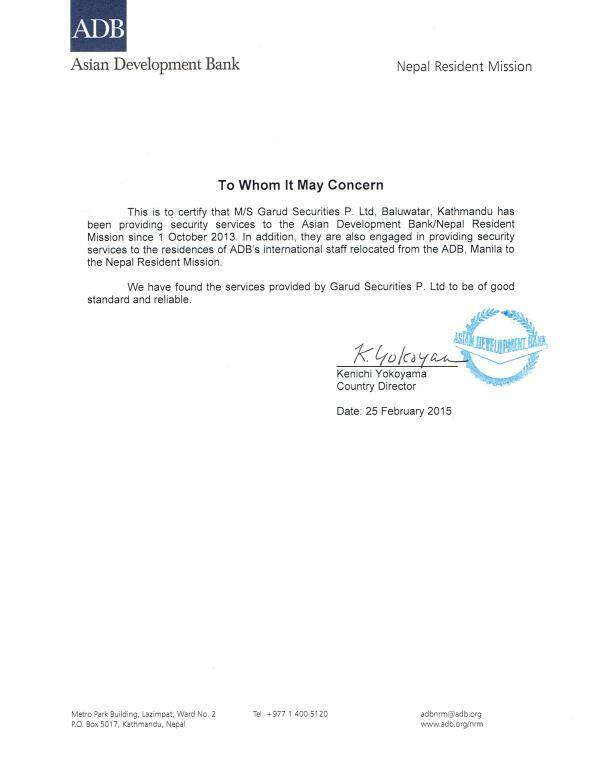 The Embassy is fully satisfied with their services. 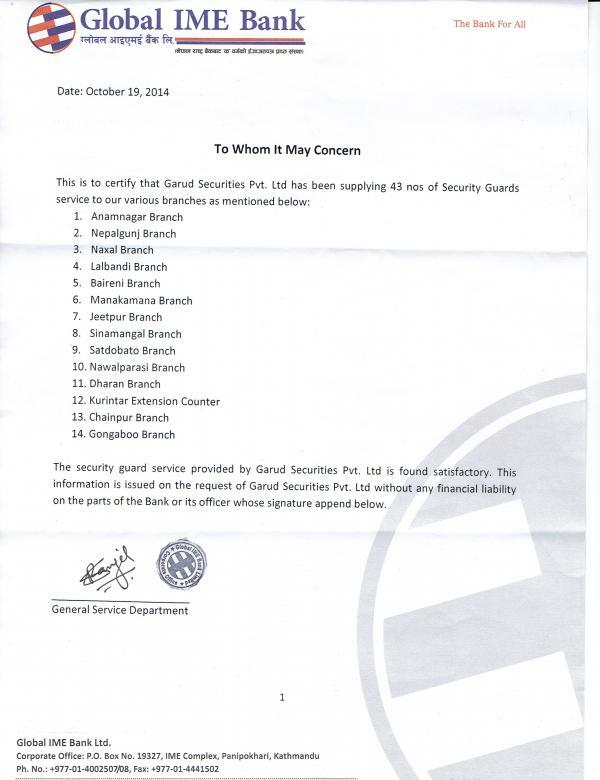 The security guard service provided by GARUD SECURITIES Pvt Ltd is found satisfactory. GARUD SECURITIES Pvt Ltd has been providing security service to various locations under our office under Dwarika Hotel Pvt ltd since 16 December 2008 till date. The company is providing satisfactory service as of date. GARUD SECURITIES Pvt Ltd has been providing security service to various locations under our office since January 2009 till date. The company is providing satisfactory service as of date. GARUD SECURITIES Pvt Ltd has been providing security service to various locations under Jyoti Group of Companies since 2009 till date. The company is providing satisfactory service as of date. 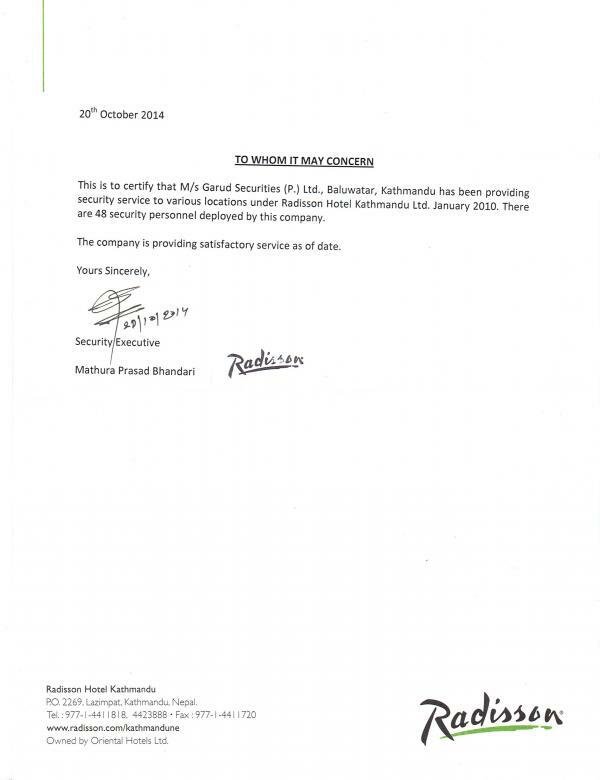 GARUD SECURITIES Pvt Ltd has been providing security service at various locations under Radisson Hotel Kathmandu , the company under Golchha Organization since January 2010 till date. The company is providing satisfactory service as of date. Hansraj Hulaschand & Co. Pvt. 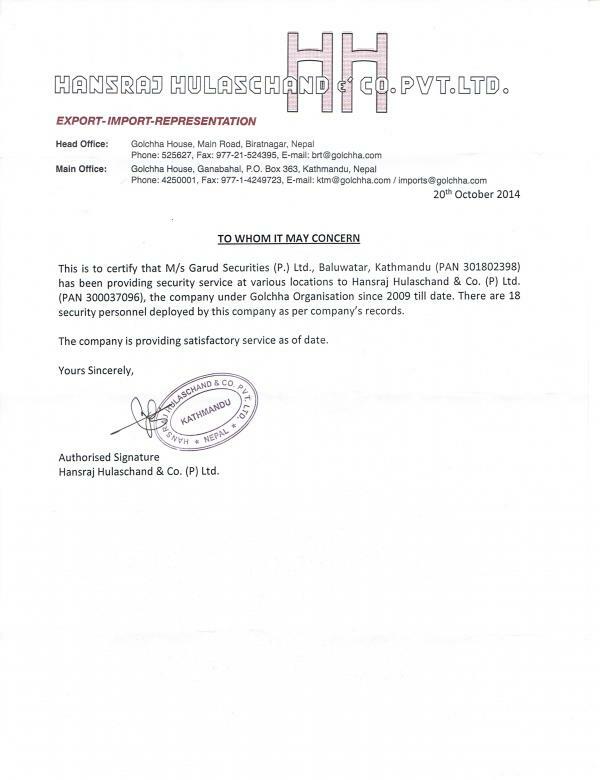 Ltd.
GARUD SECURITIES Pvt Ltd has been providing security service at various locations to Hansraj Hulaschand & Co. Pvt Ltd, the company under Golchha Organization since 2009 till date. The company is providing satisfactory service as of date. We have found the services provided by GARUD SECURITIES Pvt Ltd to be of good standard and reliable. 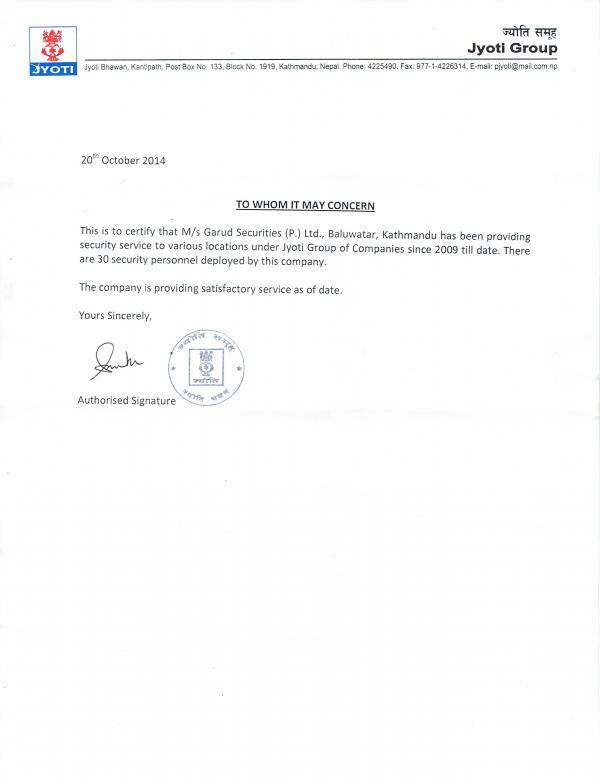 We are happy with the works performed and the collaboration with Garud Securities has so far met our satisfaction. 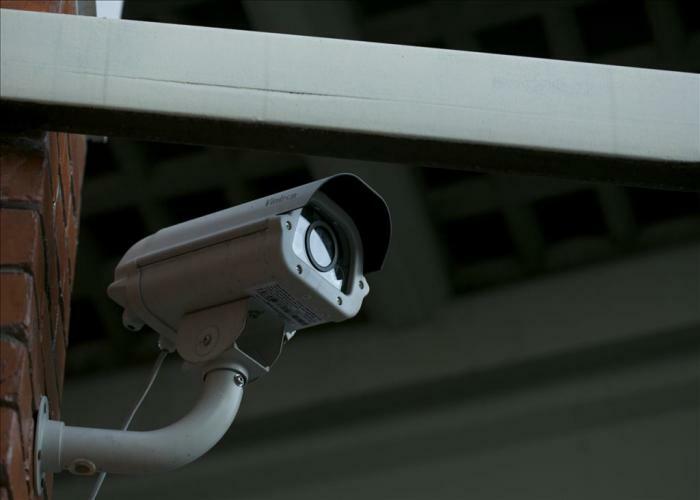 If security is your concern, we make it our topmost priority.